I’ve heard so much about the Canon Image Square in Calgary Downtown that I planned to squeeze it in my itinerary for my weekend walkabout. Because I’m also on the lookout for a Canon PowerShot digital camera, I didn’t let the opportunity pass once I had the time. What I like about the store is that I was able to try different SLR cameras. It is an experience that made me feel like a professional photographer trying to make adjustments with the lens but not succeeding as I get the same images despite mimicking. 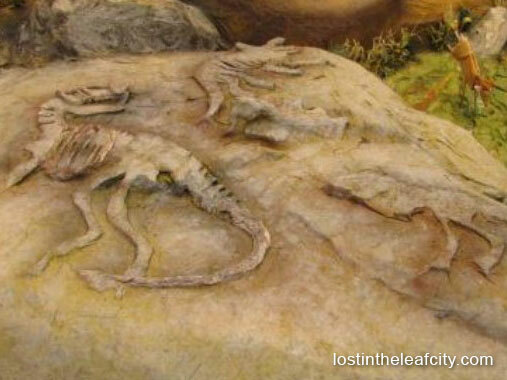 I used one of the Canon digital cameras to take the photo of dinosaur imprints. Later, I then sent it to my email using the iPad which store the photos and provide information about the cameras such as features and specifications. The staffs are friendly that I wasn’t shy to try the different cameras of varying sizes especially SLRs that looked intimidating at first. I fell in love with EOS M with EF-M 18-55mm f/3.5-5.6 STM and flash kit. It is now at the top of my wish list. As much as I wanted to stay longer and take home with me the EOS M, I left in less than 30 minutes with hope that I can sometime this year afford such high-end camera without the fear of dropping it and the confidence and skills to take photos of different subjects and perspectives. I better keep an eye on it and so is to my saving strategy. The fastest way to get to Canon Image Square in Calgary is through C-Train. Get off at 4 St. SW and walk towards Stephen Avenue. On your way you’ll pass by TD Square. If you are interested in learning photography make sure to grab some of the brochures of the classes being offered from beginner to advance. If you know any other place, a haven for photography enthusiast, do make a comment, and I’ll add it to my must-visit-over-the-weekend list. Have you been in the store? Which of the cameras you like the best?